When you make the difficult decision to divorce, it is a given that your family will undergo a significant change. Each member of your family may respond to this change differently, depending on their age, their personality and their emotional maturity. The best way to move forward is to navigate your divorce with cooperation and compromise in mind. A traditional divorce settled in the court system can increase the overall conflict between you and your spouse, while using mediation can lessen the overall conflict and lay a foundation for a positive relationship once your divorce is final. Johnson Mediation can help you keep your family as your first priority during the divorce process. Our team offers comprehensive mediation services to families who are ready to proceed with a divorce. We focus on you, your family and your future and can help you every step of the way. Johnson Mediation offers divorce mediation, divorce coaching, a parenting consultant, a parenting time expeditor, early neutral evaluations as well as general post-divorce support. Mediation can minimize stress for each member of your family. It is less expensive than a court battle and takes less time, so that you and your family can begin looking forward more quickly, rather than focusing only on the past. Mediation empowers you and your soon to be ex-spouse to make decisions about how best to settle divorce, rather than leaving these big decisions to the courts. No one knows your family like you do and the mediators at Johnson Mediation can help you find solutions to important issues such as child custody, division of property and assets and child and/or spousal support if necessary. Mediation is also entirely confidential as well. The ultimate goal of mediation is to help a divorcing couple find solutions to the unresolved issues as you end your marriage. Keeping your family your first priority during this process can be achieved when you partner with our team at Johnson Mediation. 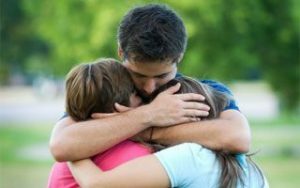 You and your soon to be ex-spouse can emerge after divorce in a healthier and positive place as can your children if you take steps with Johnson Mediation’s family first divorce services. For more information about how mediation works or to schedule a time for a free one hour consultation to ask specific questions about your case, call us at 952-402-7599.